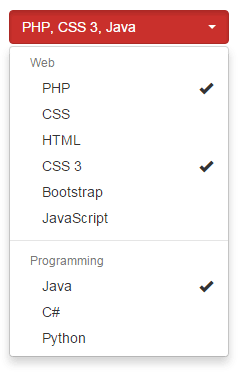 The select – option dropdown can be added along with other form controls in Bootstrap forms by using built-in classes. You may use simple Bootstrap classes, customized CSS or third party add-ons to create beautiful looking select dropdowns. I am going to show you both. You can see the figure and demo page, the first select is created without using any class while the second is assigned the form-control Bootstrap class. 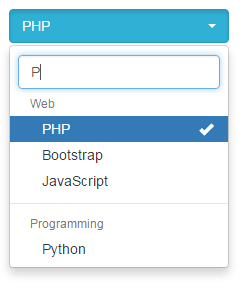 You may assign the Bootstrap class as well as custom style to change the look and feel of the select dropdown. 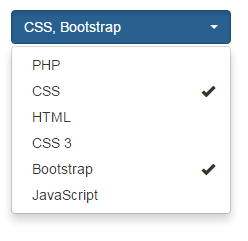 Two select tags are used that are assigned Bootstrap class, form-control. Along with it, both are assigned inputstl custom class to style along with other form fields. The Gender select is created to choose only one option. 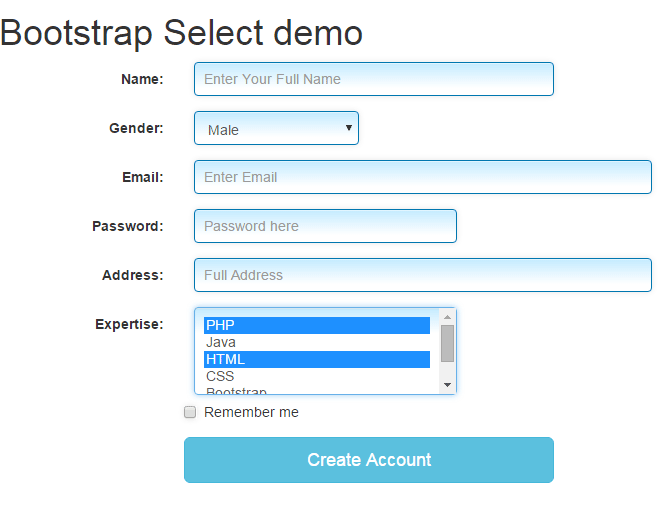 Now, I will show you creating pretty looking select dropdowns by using the Bootstrap-select add-on. Not only the look and feel can be changed but it adds many useful features in select buttons. By using that, the user experience can be enhanced incredibly. First, let me show you a few select button examples followed by step by step guide to set up to use for your project. The above select dropdown allows selecting multiple options while it also slides down just like the normal (single option) dropdown. However, you can see the demo page, how cool it is looking. It used the btn-primary button style of Bootstrap add-on. The select tag is given the selectpicker class, that you can use after setting up the plug-in (explained below). This is also the feature of this add-on. You can see in the demo, the “Web” section is separated to “Programming” section in the dropdown. By removing the option data-max-options=”2″, you may allow to select only one option in the dropdown. Another great feature of this plug-in is the search box. If you have a long list of options in the dropdown, for example, the “select country” dropdown, this feature becomes really cool. There are many other features that you should go through if you intend to use this plug-in. So basically you need these two additional files if you are already using Bootstrap framework and jQuery. These are small in size, so worth trying it.